Four Seas Ice Cream on Cape Cod MA (Centerville, Massachusetts) has been serving the finest homemade ice cream since 1934. 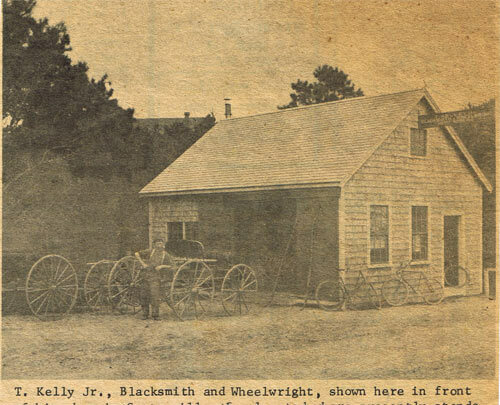 Located just a quarter-mile from one of the Cape’s beautiful beaches, the old blacksmith shop-turned-ice-cream-store is where generations of summer visitors and Cape Cod residents have taken their families for a memorable summer experience. Our diners can take a cone to go or sit on stools at the counter in our dining room enjoying old-fashioned ice cream sundaes, sodas, frappes (the New England word for “milkshake”- a real milkshake is just milk with syrup, shaken) and other sweet treats. Four Seas specializes in flavors that harken back to the good old days but are just as delicious as ever – and they’re always made with the freshest ingredients and local fruits. 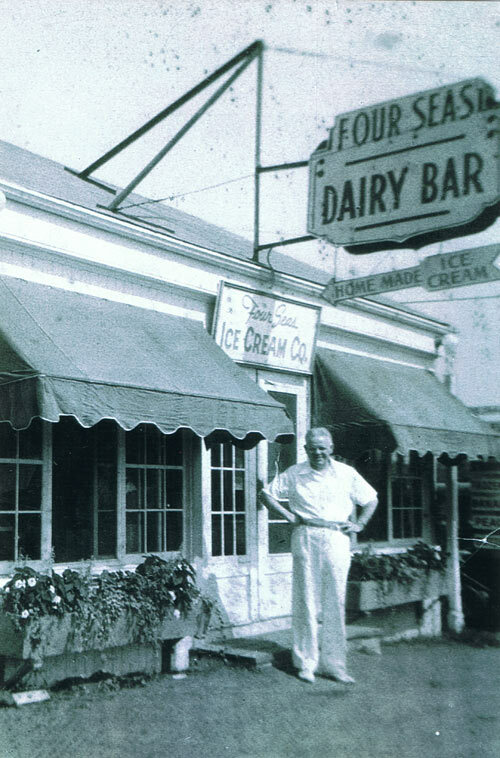 For decades, we have been serving the Cape’s favorite flavors like fresh peach, black raspberry, cookie dough, peanut butter chocolate chip and coffee, as well as a few we originated, such as chip chocolate – created with melted chocolate that solidifies when it hits the frozen ice cream – and penuche pecan, an old-fashioned brown sugar flavor based on a special New England recipe. We also serve homemade sandwiches – including our extremely popular lobster salad sandwich. Four Seas has been winning national and local competitions for decades, and has been named in the top ten ice creams in the country by several national publications. We are committed to working with our customers’ needs, from delivery options to unique flavors created especially for a specific company. Many local restaurants, ice cream stores, beach clubs, caterers, golf clubs, and local markets purchase ice cream from us, and for many of them we have created exclusive flavors, from Asian-inspired green tea to mocha without the chips for a member of the Kennedy family. Until two years ago, Four Seas closed its doors every fall and didn’t open again until May. But now, Four Seas is open in the off-season for quarts and our delicious ice cream cakes, which combine two flavors with hot fudge and whipped cream icing. Our ice cream is also available year-round at local markets and restaurants. And if you’re looking for a gift, we offer gift certificates, clothing, paintings and other memorabilia.